BenQ has unveiled its two latest XGA projectors – the SP920 and SP870 – boasting of ultra-high brightness suited to high-ambient light environments. The two high-end projectors boast an XGA resolution of 1,024 x 768 and join the extensive (read: confusingly large) range or projectors on offer from BenQ. The SP920 apparently has a brightness rating of 6,000 ANSI lumens and the SP870 5,000 – which BenQ claims is high enough to leave the lights on when you use them. 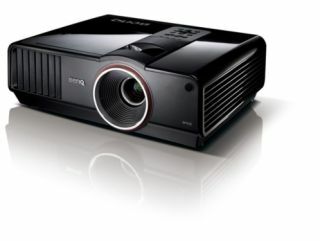 Of course, as top of the range projectors, BenQ has thrown in its best technology, including DLP BrilliantColor, Presentation Timer, Quick Auto Source, 30-second Quick Cooling, Lamp Care, Wall Color [sic] Correction, 3D colour management, and the intriguing Blackboard Mode. The BenQ SP920 and SP870 are available from early August retailing at £2,999 ex. VAT and £1,299 respectively.